Xinjiang: China’s Central Asia by Jeremy Tredinnick (published by Odyssey Guides) has been a sight for sore eyes, especially for somebody like me who had been traveling China’s largest province for years without a good travel guide. Consider this fact: the Lonely Planet devotes a mere 3% of its guide to a province that makes up 1/6 of China’s territory. That doesn’t seem right, does it? 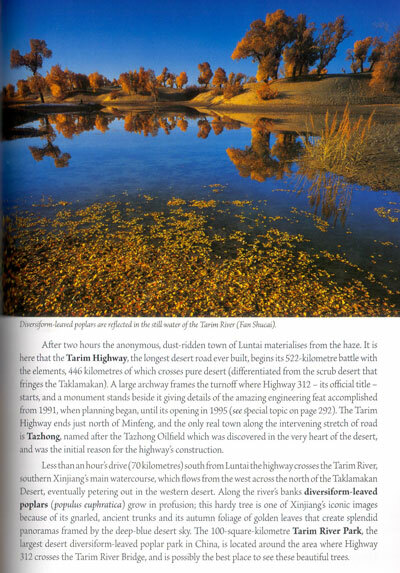 The same can’t be said for Odyssey’s Xinjiang guide. At 480 pages and a little more than an inch thick, the book is sizable without being bulky. 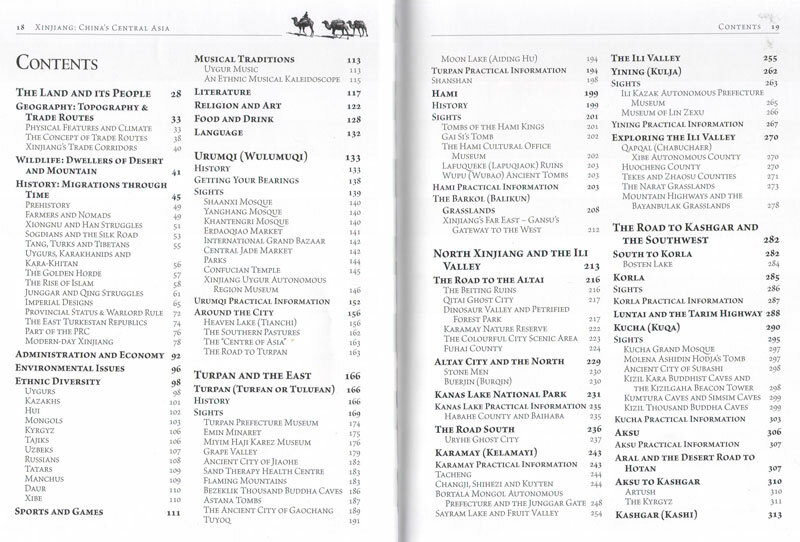 It definitely covers the province like no other English-language guide ever has. 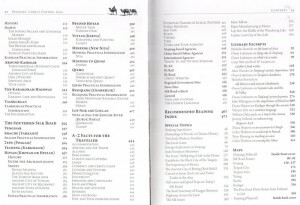 I love the fact that the table of contents takes up 4 whole pages and includes such headings as History: Migration Through Time, Musical Traditions, Religion and Art and Maps. 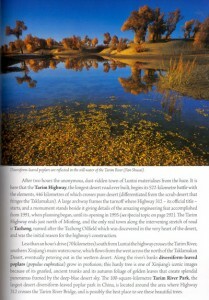 A guide book that simply says “Go here and see this” just doesn’t cut it for a province that is as diverse as Xinjiang. The first portion of Xinjiang: China’s Central Asia is dedicated to giving readers geographic and historical context for their journey along China’s Silk Road. To Jeremy’s credit, he has been able to take a very complex historical subject – one that other authors have dedicated entire books to – and simplify it down to an easy-to-understand, fun-to-read format. 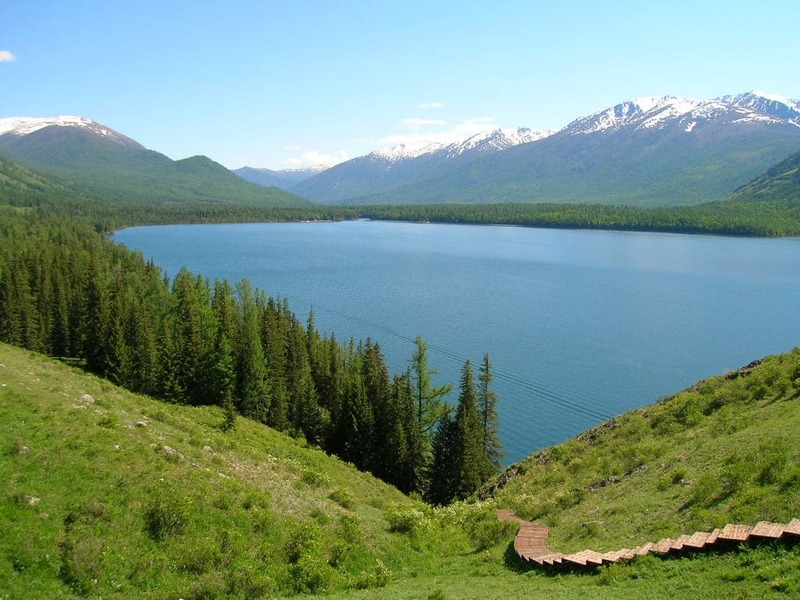 He also speaks with ease about Xinjiang’s topography, a subject that most travelers are unaware played an important role in the region’s history and still influences travel today. Descriptions of the incredible mountain ranges and vast deserts are complimented by a topographical map on the back cover of the book. 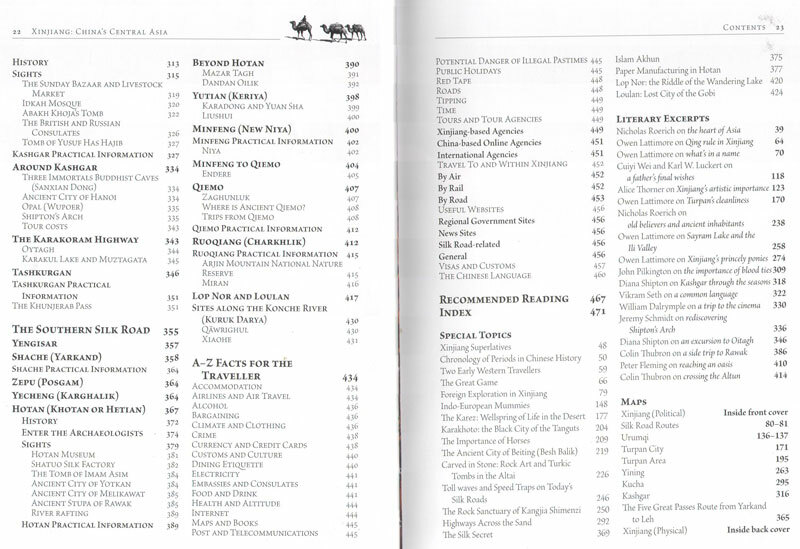 Perhaps my favorite parts of this first section of the travel guide, though, are the chapters on the various ethnic groups – including their history and customs. Everybody knows the Han and the Uyghur, but this book details a total of 12 ethnic groups that make their home in the Xinjiang province. 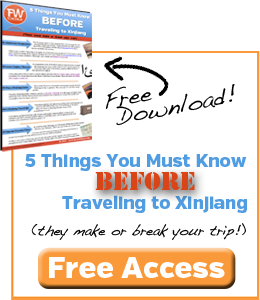 The meat of the Xinjiang Odyssey Guide, the part that most travelers will find incredibly useful, details every imaginable city and location you might want to visit during your trip to Xinjiang. The capital of Urumqi, the ancient Silk Road city of Kashgar and fascinating Turpan outpost are the easy ones that every guide covers. But have you ever heard of Zepu? No? Neither had I, and now I’m anxious to visit its Diversiform Poplar Park, full of what has been considered “the most beautiful tree”. What I have thoroughly enjoyed about this guide is that it covers the lesser-known parts of the province that may be hard to reach but are worth the effort. Besides just writing about them, it offers breathtaking photos to take the guesswork out of planning your itinerary. Can you drink alcohol in a primarily Muslim society? What customs and cultures should you keep in mind as you travel? What public holidays are different here than the rest of China? When you live in Xinjiang for a few years the answers to these questions seem obvious, so it’s easy for me to forget just how important these questions are to a traveler who will only spend a week or two in the province. 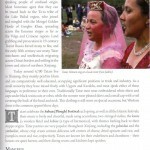 Other helpful resources include a page that lists many of the local tour guides and their contact information. 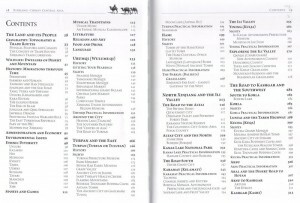 I noticed that the list doesn’t include some others I know exist, but overall it’s an incredibly useful tool. 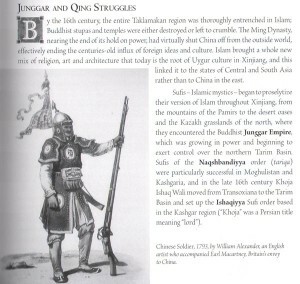 Or perhaps you might be interested in a language section that provides simple phrases you can learn in both Mandarin and Uyghur. 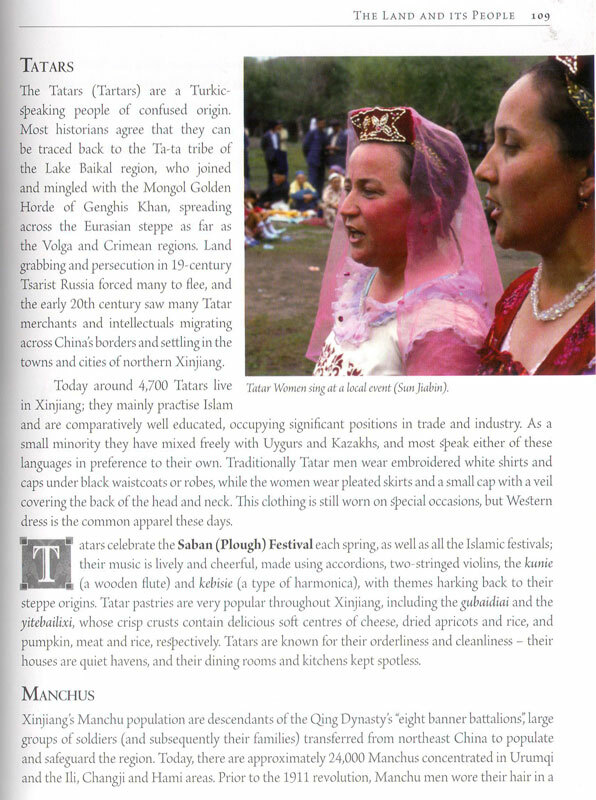 While I think there are a few things that are lacking in Odyssey’s Xinjiang Travel Guide – namely a better description of the food and a more thorough Uyghur phrase guide – overall I’m incredibly impressed by this publication. It’s fun to finally see well-deserved attention brought to an area of the world that usually only gets press when there’s a riot. Of course, I don’t really want swarms of tourist to flood Xinjiang either and destroy the seclusion that makes it so appealing. It’s a fine line. 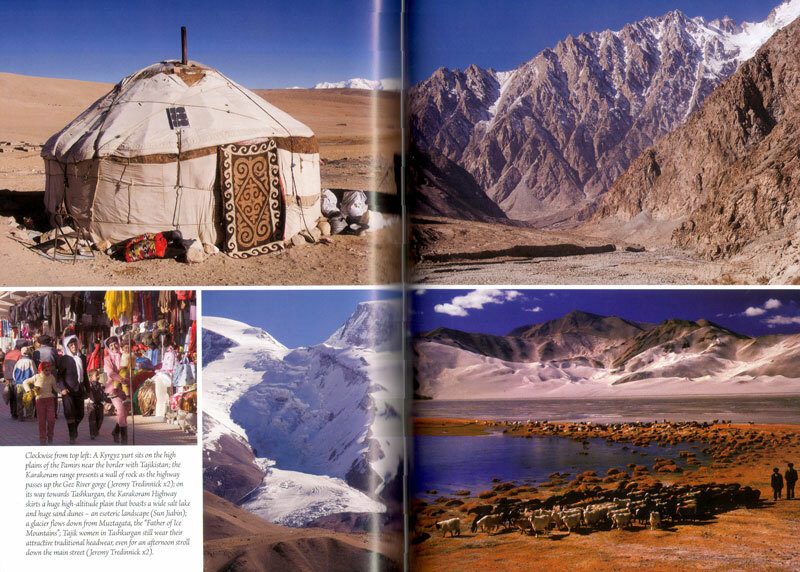 One thing is for sure: this guide is the perfect way to introduce Xinjiang to folks who may have been too afraid to plan a trip down the Silk Road and it is definitely going to produce educated, enthusiastic travelers.